The StutterTalk B Team arrives with this fine piece of stuttering craftsmanship. 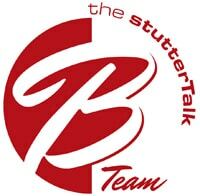 CARYN HERRING, JOEL KORTE, and ROISIN MCMANUS (the Stuttertalk “B Team”) begin a possible series on the topic of “Parents and Stuttering.” They discuss their relationship with their parents growing up and how that has changed as they have matured into adults. Lastly, they discuss the challenges parents face when children are reluctant to work on or discuss their stuttering.